Capacity for 1 or 2 people. These are rooms with ample space with a classic and cozy decor, in which the word ‘relaxation’ truly is brought to mind. Facilities? 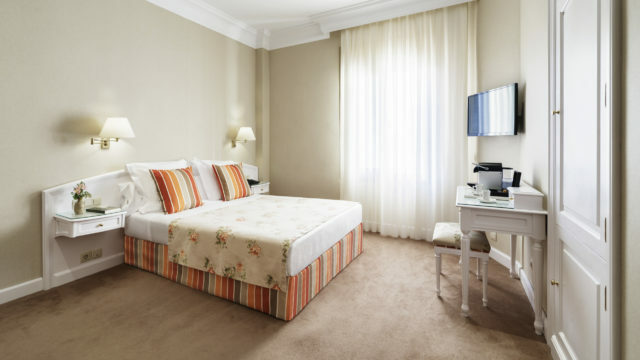 You’ll find them all: telephone, LCD television, mini-bar, safety deposit box, free Wi-Fi connection, heating and air-conditioning, Nespresso coffee machine and kettle. Oh, and there will also be comfortable bathrobes and slippers awaiting you in the bathroom, which is also equipped with a hair-dryer.